Think about it for a second: how often do you use Google to research, well, anything? The search engine’s name has become so synonymous with looking up information that it’s turned from a noun into a verb. “Googling” something means more than just searching for information: it means getting answers. This is particularly true for travelers. In the last few years, Google has launched or improved several apps and sites covering a wide range of travel needs, both when planning your trip and while on the ground. Find and book transport and accommodation, then easily navigate unfamiliar cities. Track down the best places to eat, drink, and visit, translate foreign languages, and stay in touch with loved ones. It’s now entirely possible to plan, book, and take a trip using nothing but Google’s apps and sites to do so. For those worried about the privacy implications of one company knowing everything about them, this development isn’t something to get excited about. Many others, however, find it hard to argue with the quality, convenience, and price of Google’s vast array of travel tools. What’s your usual strategy for finding affordable flights? Do you subscribe to email alerts from your favorite airlines or third-party service? Hope for the best from a quick web search? Use a dedicated flight-finding app or site? Google’s combined all three approaches into its Google Flights product. Starting from the website, app, or Google search along the lines of “flight from [x] to [y],” you’ll end up in the same place: a ranked list of suggested flight options. You can sort by price, and filter by everything from layovers and checked bags to preferred airlines and airports, arrival and departure times, and more. Once you find the perfect option, clicking the “Book” button directs you to either the airline itself or an online travel agency to finish the transaction. In most cases, Google Flights isn’t a booking site but a search tool, with the actual reservation and payment handled by a third party. While you’ll occasionally be able to book directly within Google Flights, those routes are still few and far between. You can also search for flights from alternative nearby airports, track fares by email, and see trends for similar dates to help work out if the price is likely to rise or fall in the future. Google Flights doesn’t cover every situation, though. For starters, it doesn’t pick up many error fares, so don’t come in expecting crazy-cheap flight options. As with many other flight booking sites, some low-cost carriers also aren’t included in the results. Finally, the service sometimes falls prey to “ghost fares”: great prices that linger on in the results for a while after they’re gone, so when you go to book, they’re no longer available. Despite its minor limitations, Google Flights compares well to any of the other big-name online agencies and search tools, making it a great starting (and often, finishing) point when researching flights. Ready for the next step? You don’t need to switch gears too much, since Google lets you find accommodation the same way you’d look for flights. Type “hotels in [x]” in the search bar, and wait for the magic to happen. Until a few months ago, this action just led you to a long list of links for you to wade through. Not very exciting. Now, however, the new Hotel Search option shows all the suitable hotels together in a box on the search result screen, next to a map showing their exact locations. You can input the usual details like travel dates and number of guests, and select from filters like “budget options” or “luxury stays” to help narrow down the options. You can also drag the map to zero in on your favorite part of town, with each hotel’s location and price. Once you click on a potential candidate (caveat: it’s mostly hotels shown, with few hostels or vacation rentals), Google will take you to an accommodation-specific page. There, you’ll find property reviews, and links to well-known booking sites to finish the reservation. Of all the various travel tools and apps, chances are you use maps and navigation the most. Even if you’re not hopeless with directions, but especially if you are (points to self), online maps are a true gift from the travel gods, and Google Maps is the best of the lot. Frighteningly accurate and super-detailed, the service’s breadth, depth, and quality is unrivaled in the industry. Maps can be downloaded ahead of time, so you can even use them offline or with your phone in flight mode (GPS will still work). You can create your own custom maps with all the places you’d like to visit, and make an itinerary with multiple stops. The app will show you where you can eat or whether there is an ATM close by, and save all the places you go to in your Timeline. Communication is a fundamental part of any travel experience, and lack of a shared language can be limiting and frustrating. That’s where Google Translate comes in. After some trial and error, Google’s translation tool is now the best all-round service available for both spoken and written language. It typically produces a fairly-accurate translation that you can show to the person you’re talking to, have the app read it aloud in a creepy computer voice, or for the bravest, try to read it yourself. It can also, in another cool feature, identify written words in signs and translate those too, although it’s definitely better with some languages than others. The app works both online and offline, although you’ll get extra features and greater accuracy when you’ve got an Internet connection. Need to connect with a fellow traveler, or check in with people back home? Google can help with that, too. Although it’s one of Google’s least-known services (especially outside the US), Google Voice can be very useful for travelers. This call and voicemail service gives you a new US number, or lets you move across your existing one, and lets you use it like a regular cell number. You can receive calls and texts from the app or website, get voicemails, make calls, and receive texts or transcribed voicemails in your e-mail. 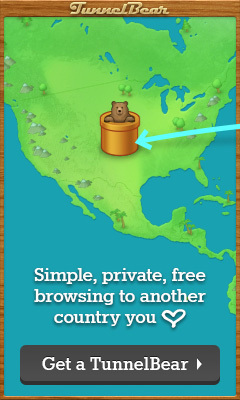 The service is fully free, except for calls to countries outside the US and Canada, which are still very affordable. As long as you have Wi-Fi or cell data your number keeps working, at a fraction of the cost of most roaming plans. The signup process is straightforward if you’re a US resident, but much less so if you aren’t. It’s still possible, though — we’ve got the details here. Speaking of US residents, they have access to a related product that’s even more useful: Google Fi. This cell service switches between various providers while inside the United States, and provides inexpensive calls, texts, and data roaming in 170+ countries around the world. We reviewed it a while back, and came away impressed. Ever noticed that whenever you look up a business on Google Maps, the app shows reviews and star ratings alongside? Besides being an excellent navigation tool, Google Maps is now a major review site. Similar to Trip Advisor and Yelp, the service lets you check out ratings and reviews for any restaurant, café, hotel, attraction, or service. Once logged in your Google account, you can also leave your own reviews to help other travelers. Google’s final flourish when it comes to travel planning is letting you leave everything in its (virtual) hands. Google Assistant has been around for a couple of years now, but it recently added a slew of travel-related features for both planning and real-time information. Just like other virtual assistants such as Siri or Alexa, Google Assistant takes voice commands (via either the app or a physical Google Home device) and performs various actions. As it stands today, the Assistant can check in for flights, monitor for delays and disruptions, book hotels, track down destination information, locate sights, check the weather, act as an interpreter, and as of early 2019, operate Google Maps. Does the future of travel planning involve talking to your phone and have it do everything for you? Google certainly seems to think so. How many of these tools have you used while traveling? Would you only use Google to plan and run your trips?